Nathalie Marchino got up in her Oakland, California, apartment at 5:30 every morning and was on the nearby track by 6. The facility technically didn't open until 6:30, but she jumped the fence or gave the security guard a nod; they had an understanding. For the first few months of this year, that was life for the 34-year-old rugby player, who was training to compete for Colombia at the Olympics in Rio. She had to finish her speed workouts by 7:30 a.m. to be at work by 8 in her San Francisco office at Twitter, where she is a sales account manager. Pushing competitive limits is something shared by Olympic athletes and Silicon Valley disrupters. But seldom does an athlete achieving at the highest level also work in a top-tier profession outside of sports. Many Olympians scrape by with part-time shift work. 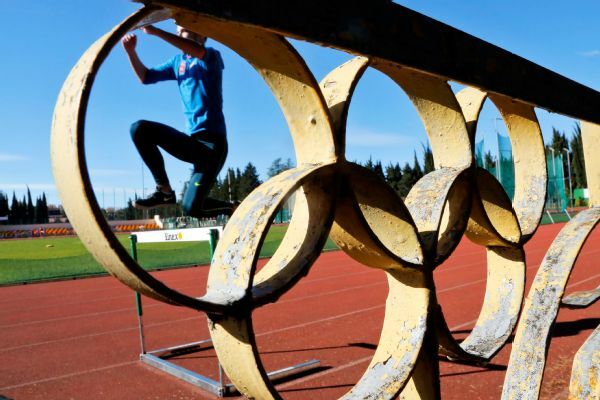 That makes Marchino something of an anomaly: an Olympic hopeful working at a tech giant. When contacted, Facebook, Apple, Google and Microsoft could not locate an Olympian among their ranks. And as a woman of color, Marchino is all the more a rarity in Silicon Valley. Her professional and athletic accomplishments do not come without their sacrifices, but Marchino expects the thrill of participating in the Rio Olympics to vindicate the hustle, to justify the means. "Juggling work and rugby has been part of my reality for so long that I've just accepted that it is that way," she said. "However, going to the Games would make it all worth it. "I have made decisions that have hurt my career, relationships and friendships to play rugby. I would feel like it will all have been for something special -- for something that few people will experience in their lifetime." Born in Colombia, where her mother is from, and raised in her father's native Switzerland, Marchino dreamed about becoming an Olympian since she was a girl. In the late 1990s, her NBA-obsessed basketball coach in Geneva suggested Marchino move to the U.S. to up her game by facing fiercer competition. Her math teacher father and her mother, who ran a Swiss-Colombian deli, sent her to live with a host family in the Riverdale section of the Bronx, New York, in 1998 to finish her final two years of high school and get recruited for college. Marchino, who jokes that she learned English mostly through Nirvana songs, went on to play at Siena University, where she studied business. She started playing rugby in 2005, while working for Nestle in Washington, D.C. Seeking competition and camaraderie, she joined the D.C. Furies, a club team that practiced twice a week and played matches almost every weekend against squads from other cities within the Beltway and beyond. "I was drawn to the physicality of the sport," she said. "There are few sports where you find yourself in situations where it's all about raw strength. You get to a contact situation and it's you against one or several people, and it's all about who's going to win the battle." Beyond the brutish athleticism the game required, she also found herself intellectually stimulated by rugby, by the complex strategy on the field and the need for a player to be so versatile on offense and defense. 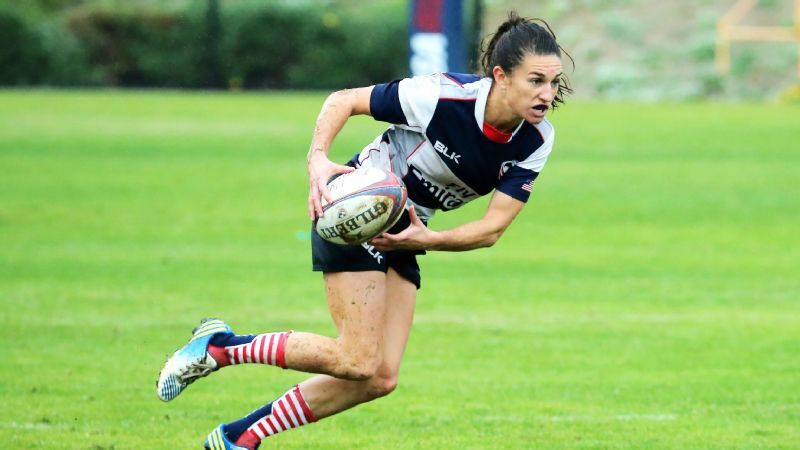 When she went with a teammate to watch the Philadelphia Eagles play an intrasquad football scrimmage, she was introduced to U.S. women's rugby national team coach Kathy Flores. Marchino, who was about to move to the West Coast for a job with PowerBar, mentioned she'd like to try out for the Berkley All Blues, a club team Flores also coached. Marchino, right, playing for the U.S. national team in 2012, faces off against Debby Hodgkinson of Australia during the quarter finals of the IRB Women's Sevens Challenge Cup in London. Flores didn't really expect that Marchino would show up just a few days later. Basketball players are great crossover athletes, Flores said. They understand two-on-ones. They have a lot of court vision, which transfers well to having field vision. They play in quick bursts and they look for support players. Marchino had all of that, but her strategizing is what impressed Flores immediately. "We have players that are physically good, that can outstep somebody and kick the ball for miles," Flores said. "But what makes an elite player like Nathalie is decision-making. She's such a smart player and can do a lot to set people up." Marchino spent the next 10 years as a member of the U.S. national team. She competed in several World Cups while holding jobs at PowerBar, Google and now Twitter. She loves rugby despite the injuries she has sustained playing it over the years -- the broken jaw, the dislocated shoulders, the concussions, among others. She refers to the sport as her addiction, and through her job in tech, she's found a way to fund it. Juggling work and rugby has been part of my reality for so long that I've just accepted that it is that way. ... Going to the Games would make it all worth it. 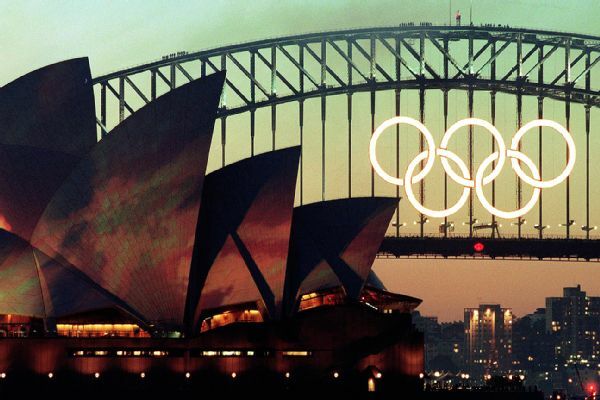 Then came the 2012 announcement that rugby would make its Olympic return at the Rio Games. "It awakened that old dream in me," she said. 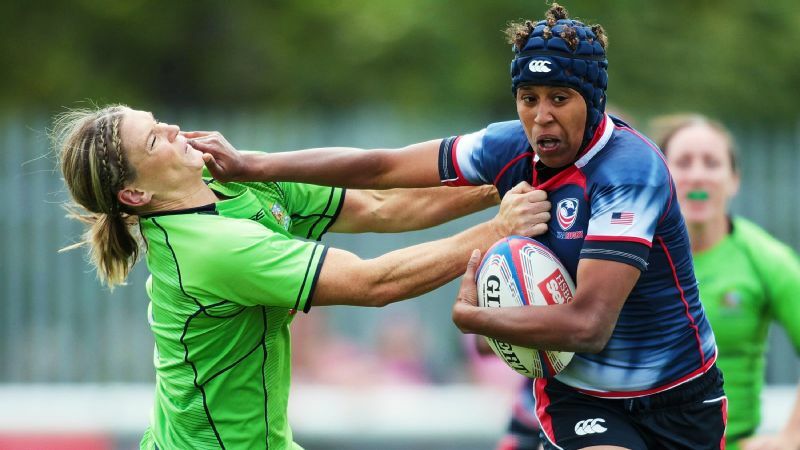 She quit her job at Google to focus on rugby, but to play for the U.S. Olympic team, she first had to become a citizen. World Rugby, formerly called the International Rugby Board, had changed its rules for Olympic participation, requiring an athlete to have a passport for 18 months before the Games in order to compete for a country. Marchino, unable to have her U.S. citizenship processed fast enough, would miss the deadline. She went back to work in December 2013, landing a gig at Twitter, and maintained her fitness as she looked for possible alternatives to make her Olympic dreams a reality. Her Swiss citizenship was a nonfactor; the game hasn't quite caught on yet there. But Colombia's rugby team unexpectedly qualified for the Olympics last June. Marchino, who is a Colombian citizen, got in touch with Laurent Palau, head coach of the women's Olympic rugby team. They emailed and Skyped, and he invited her to try out for the team in Medellín over the course of three weeks last October. "From her first steps on the field in Medellín when her plane landed," Palau said, "I knew that Nathalie would bring lots to the team in key positions." Of course, Marchino would need to stand by for approval from bureaucratically paced World Rugby. She was still awaiting official word when we met on a Tuesday in March at 6 a.m. Marchino took advantage of a business trip to New York to immerse herself in a high-intensity workout at Velocity Sports Performance, a stone's throw from Central Park South on the East Side. She traveled to New York once a month, facing the extra challenge of maintaining her conditioning. "Wakey, wakey," yelled Andre Brinson, her trainer for the morning whom she met through Les Spellman, her speed coach in California. 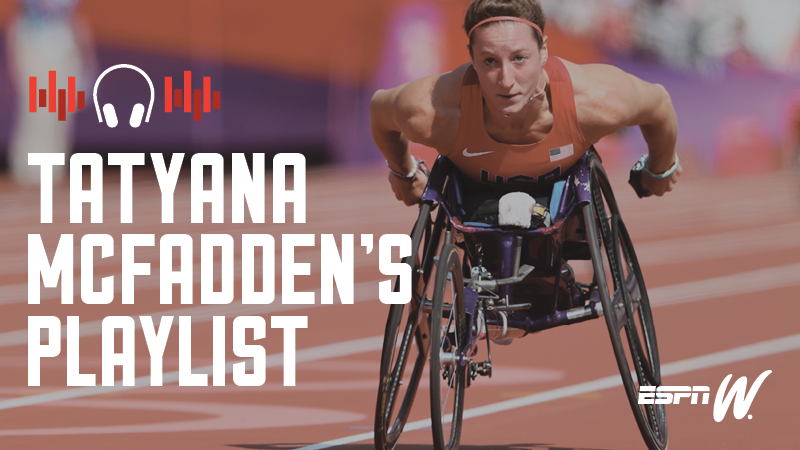 This meeting epitomized the true difficulty of her journey: the need to cobble together an Olympian's training routine without having a team to work with. Gyms need to be found; the right coaches need to be recommended, even for makeshift sessions at ungodly hours. (It felt like 3 a.m. for Marchino, who was still on West Coast time.) No day could be wasted. As the session started, Flo Rida's "My House" blasted from the gym's speakers. The workout focused on her posterior chain agility to maintain her strength and stability on the rugby field. "Wake up those glutes," Brinson yelled as she started quick-step movements while wearing a resistance band. As a center and flyhalf on Colombia's team, she will need to be grounded and have the ability to explode off her feet during weight-shift transitions. The morning workout took her through a set of hip-turning karaoke steps -- one leg behind the other -- and then backpedals. On a straightaway track within the facility, the 5-foot-7 Marchino did some dynamic skipping, high knees, and quick-action crouch movements. Part of the goal was amping up her agility and elasticity. Marchino joked that she's "close to being a fossil" as an older Olympic hopeful and stressed the importance of this kind of plyometric fitness. At one point, she took to catching a 4-pound medicine ball from Brinson and chucking it at a wall. In one of her final feats, she repeatedly shuffled down the track while stopping at intervals to morph a squat into a warrior pose. She asked pointed questions during the workout, to not only understand the right form but also the intention. It's the goal-oriented, corporate sensibility coming through, seeking feedback or an explanation for each undertaking. "I'm very feedback-oriented, likely because I am a perfectionist," Marchino said. "I like things done properly, but it helps me to know why I am doing something so that I can focus on the impact it will have on my training or my life. As you get older, you hear the motto, 'Smarter, not harder.' I guess I like to apply that to my training in general." At Twitter, Marchino tracks the performance side of promoted tweets and integrated advertising on the social media platform. After her workout, we arrived at the company's office in New York's meatpacking district by 7:30 a.m. She took a few minutes to decompress with a latte in the basement space that doubles as a pub and café. She had a meeting scheduled with the Olympic lead for Twitter who is charge of promotions for Rio-related content. Marchino proposed that she might be able to offer some insight on strategy and also wanted to discuss what she could do from a sharing standpoint from inside the Olympic Village. Though maintaining a high-intensity job amid Olympic aspirations may seem like masochism, Marchino has a practical view: "I've always wanted to compete at a high level, and I wanted to find something that would help me finance that." I wouldn't trade this experience for anything. At the end of the day, it's eyes on the prize, and what a prize it is. Of course, the tech company lifestyle, with its free meals and ergonomic desks, can be conducive to her training. Toward noon, she was set to head to some in-person client meetings out of the office related to sales accounts. Her partner for these encounters is Lauren deMello, a senior account executive on Twitter's tech business-to-consumer team. DeMello said she brings up Marchino's Olympic journey as an icebreaker and a tactical strategy. "It's so interesting, and almost always, it gets the clients talking and asking questions," she said. Though the novelty -- and potential sales appeal -- of working with an elite athlete can pose distinct advantages, there are challenges. "The key for our team is to be mindful when it comes to scheduling," deMello said. "At times, Nathalie works out during the day and has to travel [or] take days off for tournaments or training, so it helps to be flexible with each other." Marchino, indeed, has to be extra-efficient and proactive to be able to sneak in her daily weightlifting session from 3 to 4 p.m. -- something she maintained while on her business trips to New York, typically wolfing down lunch at her desk and, on tight days, using the in-house gym. DeMello said Marchino is obsessed with metrics and brings a "never-give-up attitude" to meetings, something that's particularly appealing to her boss. "She treats the office like the rugby field," said Isaac Muwaswes, a senior manager on Twitter's tech business-to-consumer team. "Just like scouting an opposing rugby team, Nath learns about the competition's solutions inside and out." Come 5 p.m., Marchino was out the door for another conditioning workout -- her third of the day -- at the hotel gym. If she were home, she'd do this training session at the track near her house. Back in Oakland on typical evenings, she'd head home from that final workout to make a healthy dinner and wind down around 8:30. When she'd turn in for the night, she would look at the two photographs she keeps in her bedroom next to the Olympic flag. They're snapshots of her wrists, on which she writes before matches in Sharpie. One says, "Each game's a gift." The other: "Why are you here?" That question would keep her motivated when her alarm went off at 5:30 the next day. Of course, that meant she would need to be in Medillín to train with the team. She asked for and received a five-month leave of absence from Twitter, which she began April 13. She isn't receiving pay but is maintaining her company health coverage. She'll be back at Twitter come September, but for now she's into intense training, including a carb-heavy diet of potatoes and plantains. Marchino described her experience over the past month in Colombia as a "mix of emotions." "I've felt a lot of pride around the fact that I'll be able to represent my birth country and a lot of excitement also to be able to reconnect with my roots," she said. "On the flip side, the transition has been challenging at times. I've had a little bit of culture shock and felt disoriented at times not having my bearings." Of course, her sights are set on her goal of competing in the Rio, something that has made the juggling act of her journey worth it. "I wouldn't trade this experience for anything," she said. "At the end of the day, it's eyes on the prize, and what a prize it is." *This story has been updated to reflect that Marchino was not on the initial women's Olympic rugby roster that Colombia released mid-July. She did, however, make the country's final Olympic roster. Ross Kenneth Urken is a writer living in Manhattan. Find more of his work at rosskennethurken.com.